Aether Raids begin at 2 AM on November 9th and will last until November 18th at 5:59 p.m. This will be the first season of the Raids. Your aim in this mode is to place structures and teams in your own keep and invade other players’ keeps. You also need to defend your own keep against other players. Winning nets you Aether Stones that let you build and improve structures. Heroic Grails are also available as rewards from this new mode. Heroic Grails let you summon Heroes from past Tempest Trials and Grand Hero Battles as allies. The Heroes summoned are at 4* and each one can be summoned 20 times at max with the cost to summon them going up until it hits 500 Heroic Grails. 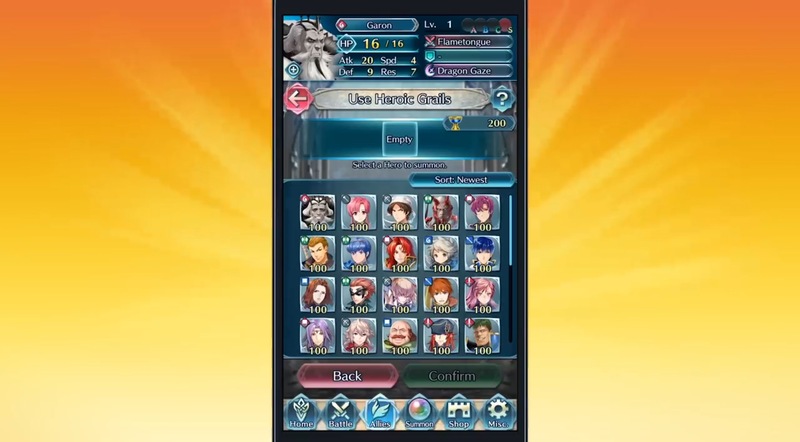 Aside from new weapon skills for various characters that can be learned at 5*, the update also includes fixes to iPhone XR, iPhone XS, and iPhone XS Max that now has time and other elements being displayed correctly. Fire Emblem Heroes is still Nintendo’s big money maker on mobile devices. I bet Camilla has a big part to play in that or at least I hope she does. Nintendo’s mobile exclusive action RPG IP Dragalia Lost is slowly catching up in some regions but it still has super limited availability going by the few countries it has been in since launch. Having tried the likes of Girl’s Frontline, Granblue Fantasy, and even Azur Lane, none of them have the interface polish that Fire Emblem Heroes has and this is something I value a ton in games.